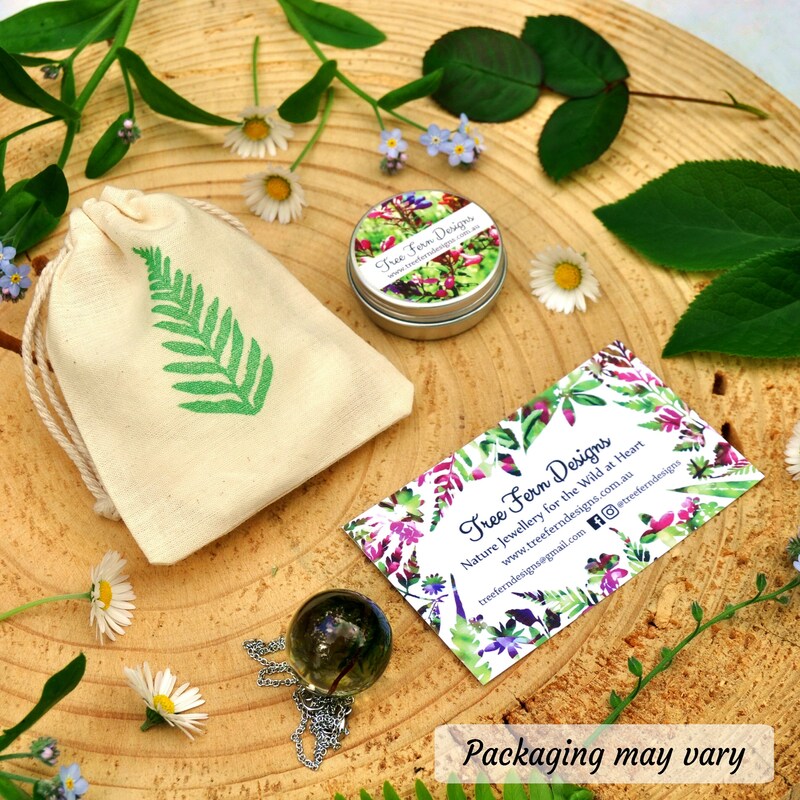 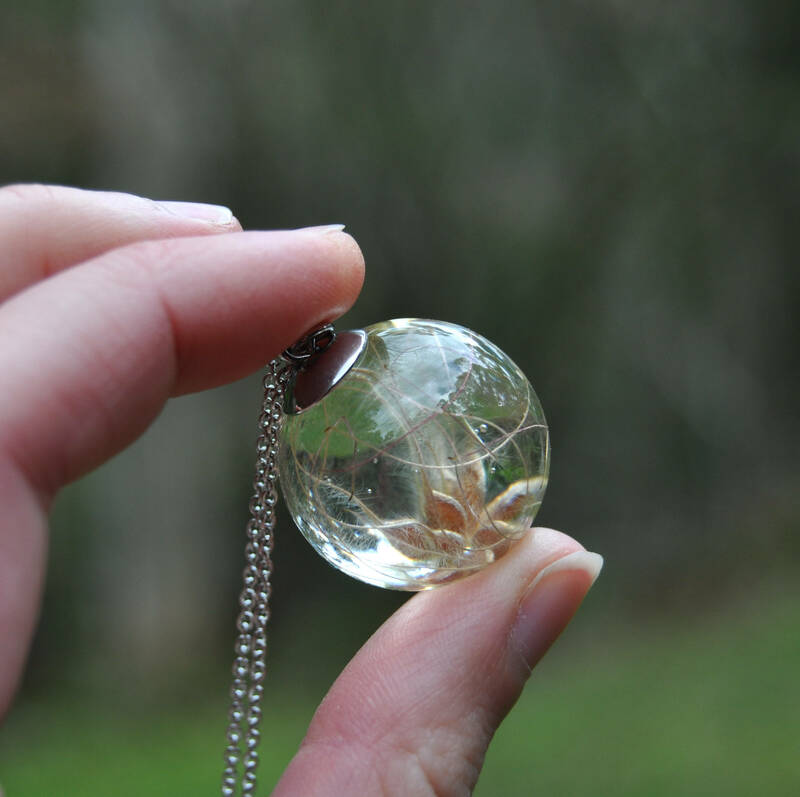 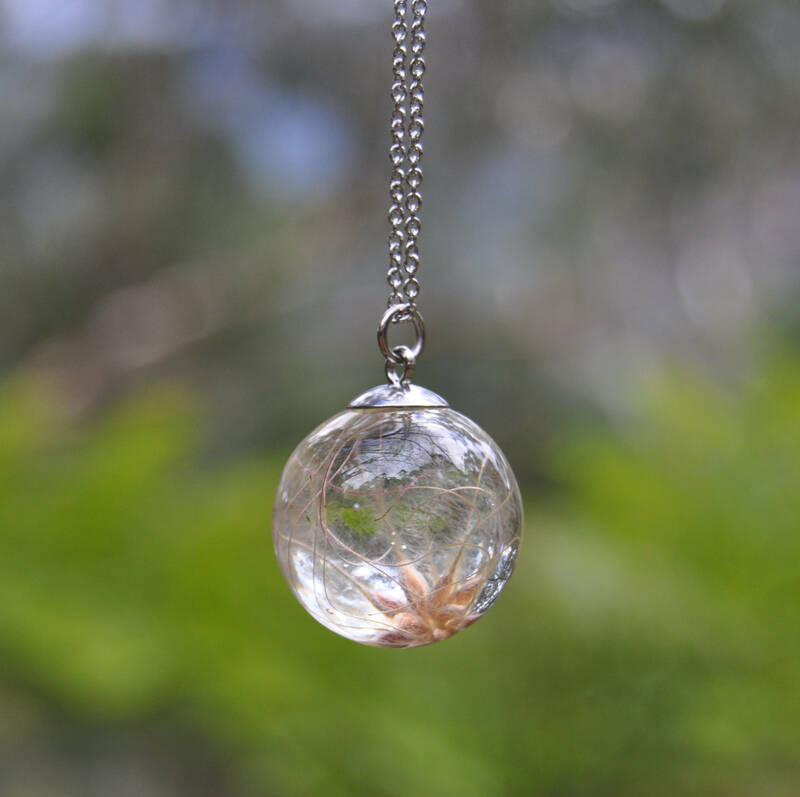 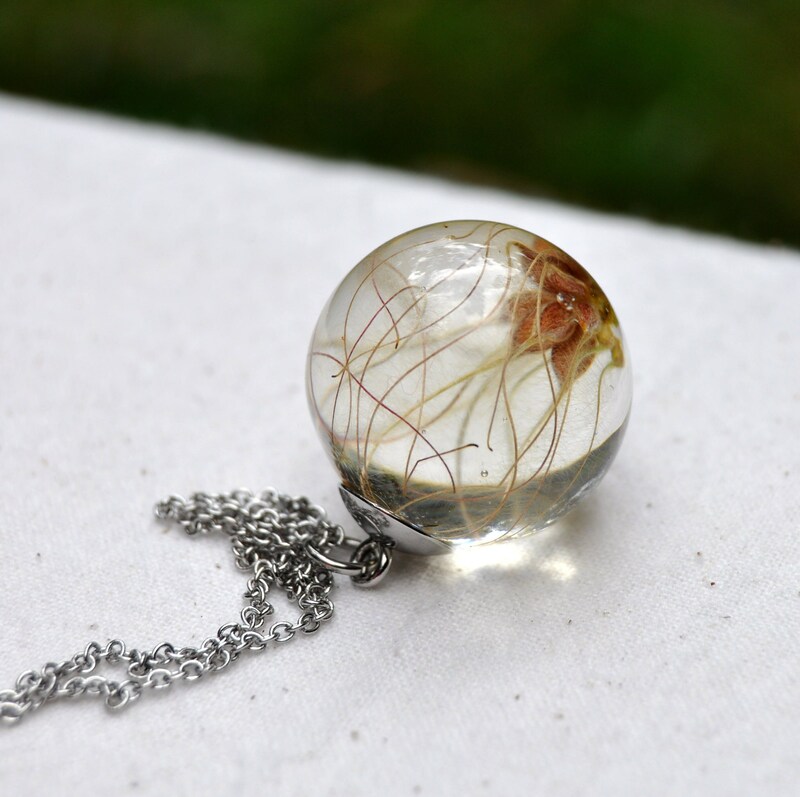 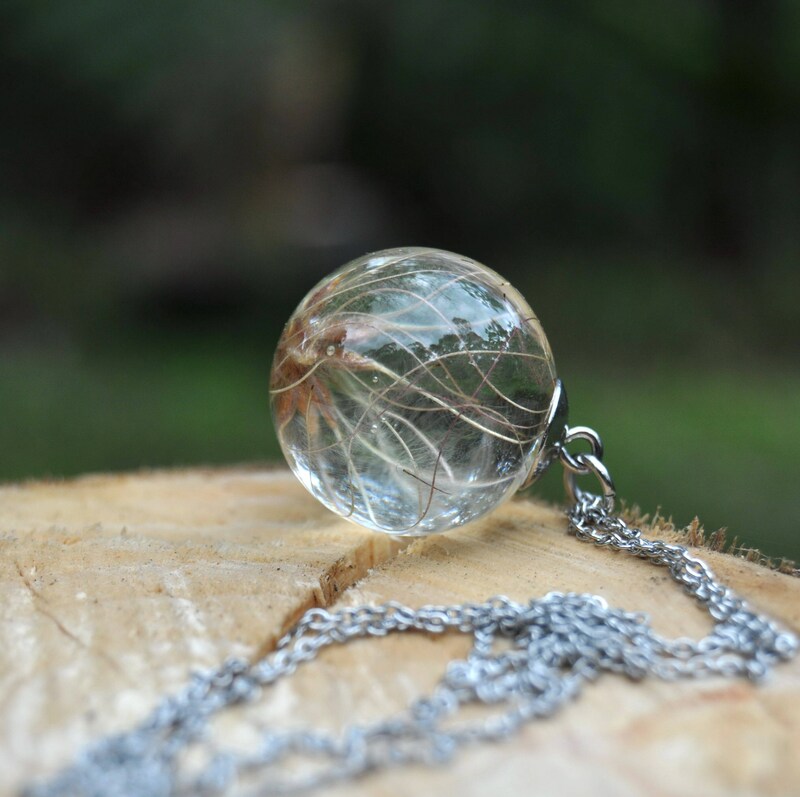 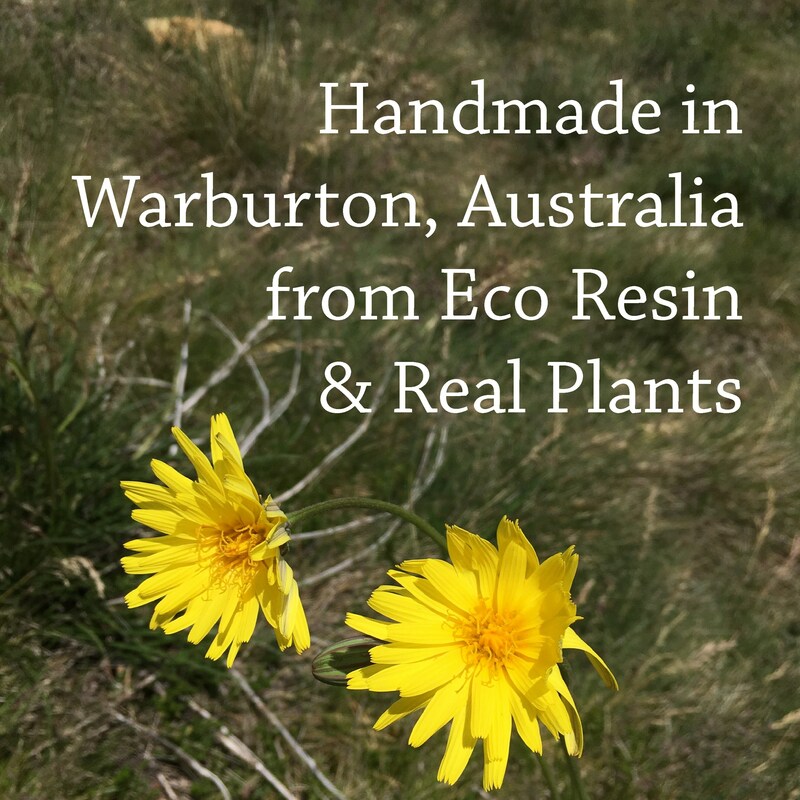 This sphere necklace contains a real Clematis seed head embedded in clear eco resin. 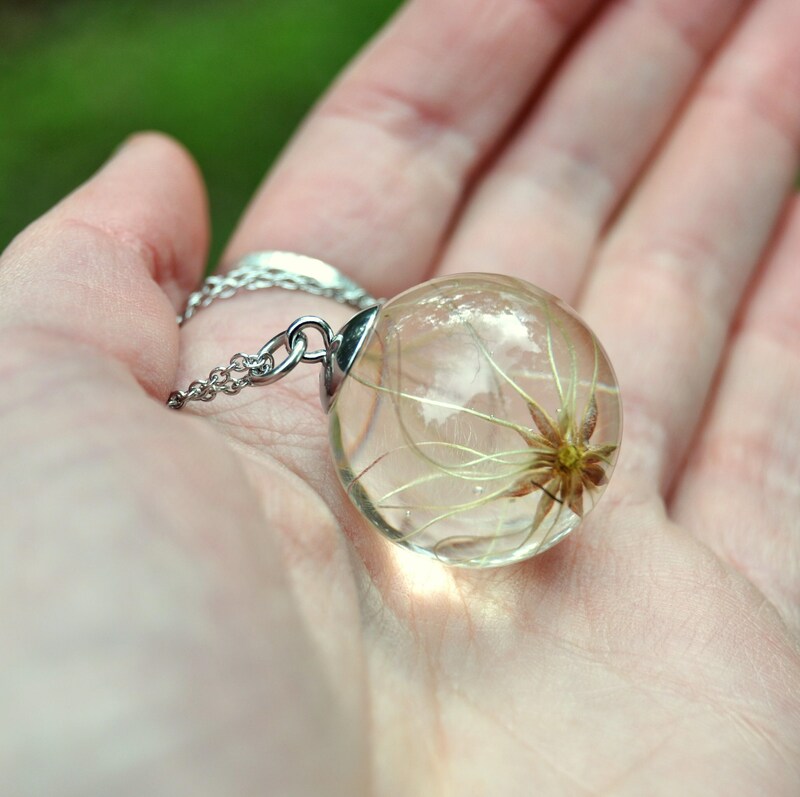 ♥ Plant: Native Clematis seeds. 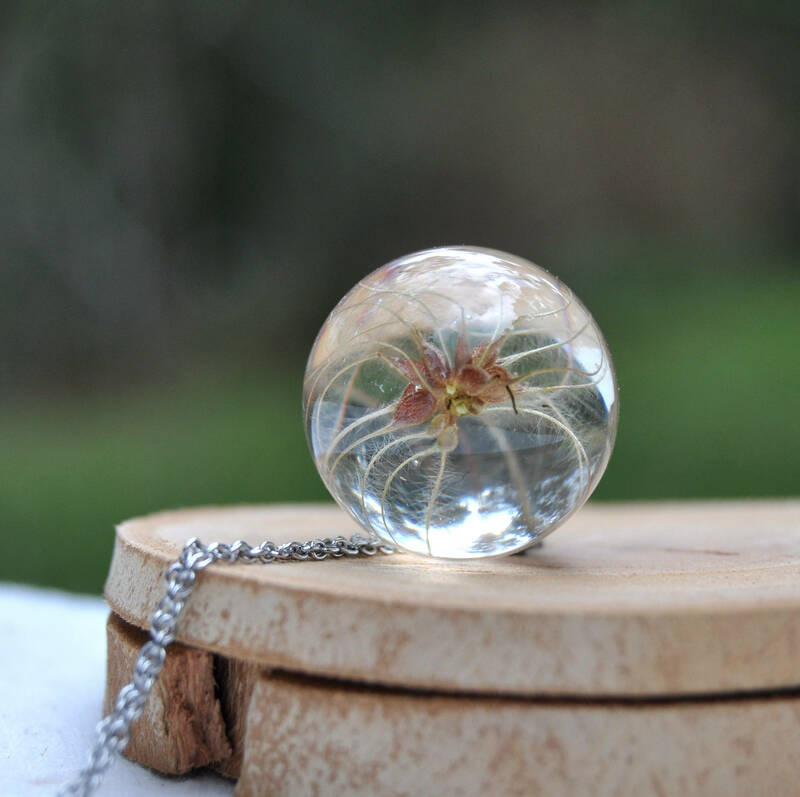 Clematis is a climbing plant, with white flowers which turn into feathery and unusual looking seed heads.